Excellent filly, out of Israel National Champion Stallion, European Reserve Champion - stallion Laheeb. 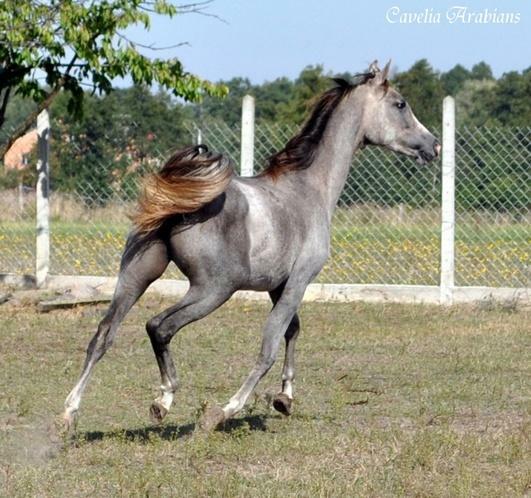 Foundation mare to the most import_ant and accomplished family of race champions in the Arabian breed. EL?BIETKA's dam, EL?UNIA, is an elegant mare of distinct aristocratic presence, with an incredibly long and perfectly shaped neck, large luminous eyes, world-class quality and presence, splendid conformation and an extravagant, ground-covering, English Pleasure trot. Her grandam, ELLEIDA, is a stakes winning racehorse and one of the best moving ALGOMEJ daughters ever bred in Poland, who traces tail female to breed treasure ELLORA, source of numerous invaluable Arabian show and breeding horses known for sensational movement, including EL PASO, EL GHAZI, ELIMAR, EL AZRAK, ELLORUS, ELEWACJA, KAJORA and GAZAL AL SHAQAB.